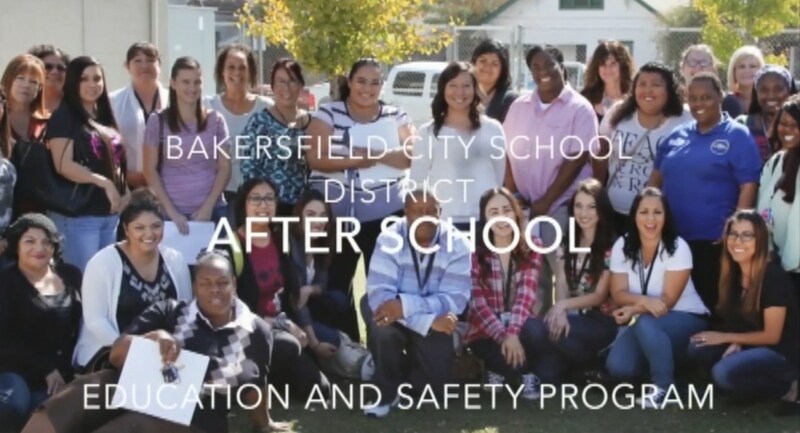 THE BAKERSFIELD CITY SCHOOL DISTRICT EXTENDED LEARNING PROGRAM IS DEDICATED TO PROVIDING A SAFE AFTER SCHOOL EDUCATION, ENRICHMENT, AND YOUTH DEVELOPMENT PROGRAM FOR FIRST THROUGH EIGHTH-GRADE STUDENTS. 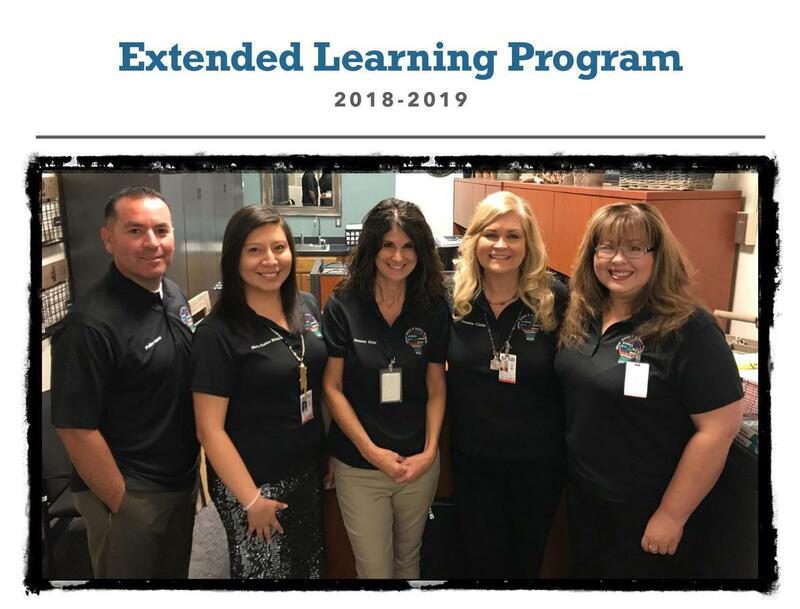 The Extended Learning Program seeks to provide a safe and nurturing environment for our most important resource, our students. We strive to enhance the learning experience of children and provide them with numerous enrichment opportunities. 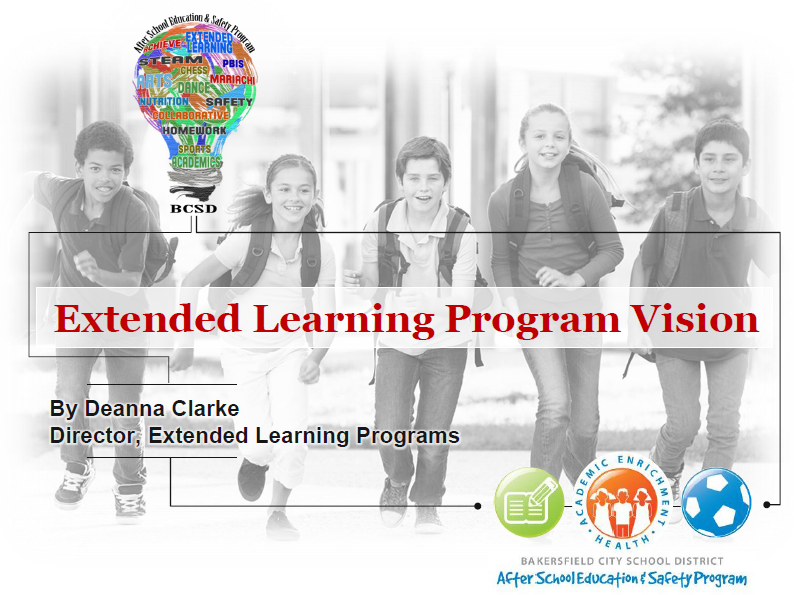 An educational enrichment component that may include recreation, prevention, and youth development. 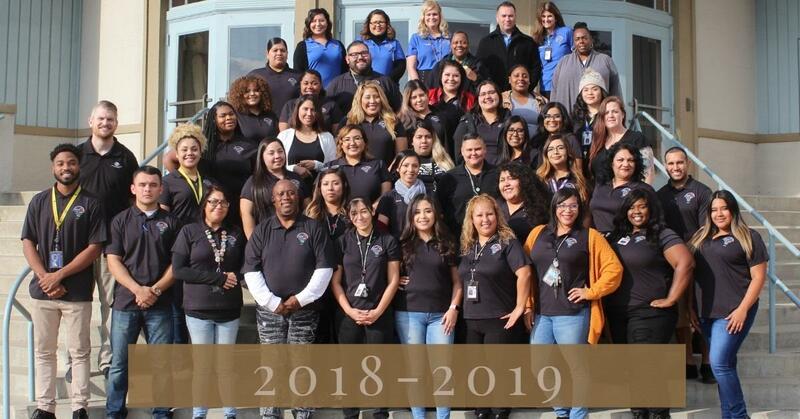 Such activities might involve the arts, music, sports, recreation, career preparation activities, teen pregnancy and substance abuse prevention services, gang awareness activities, conflict resolution training, community service-learning, and other youth development activities based on student needs and interests. 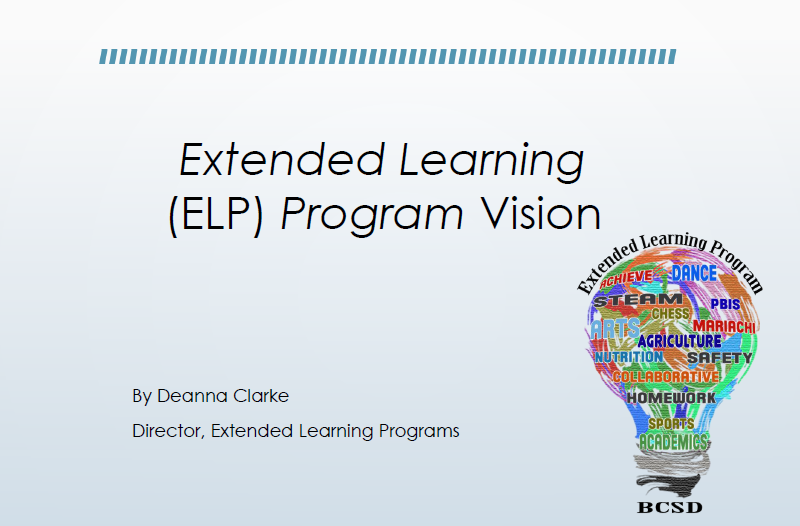 All students should attend the ELP five days a week (every school day) for the full length of the program. The program must maintain a pupil-to-staff ratio of no more than 20 to 1.